Why we carry the name Kashba may already be history in itself. 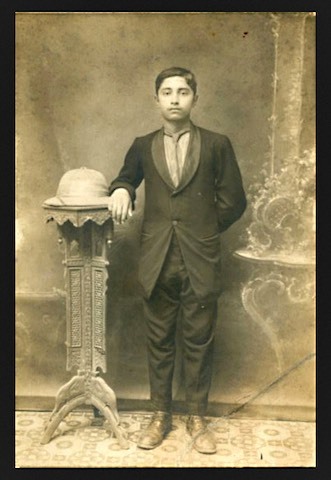 Late nineteenth century many a town and village in India already had a photo studio, mainly for taking portraits - with or without a dramatically painted background, extra curtains or a table with plant of own choice. The above photo print I bought as a postcard in Darjeeling in 1974. 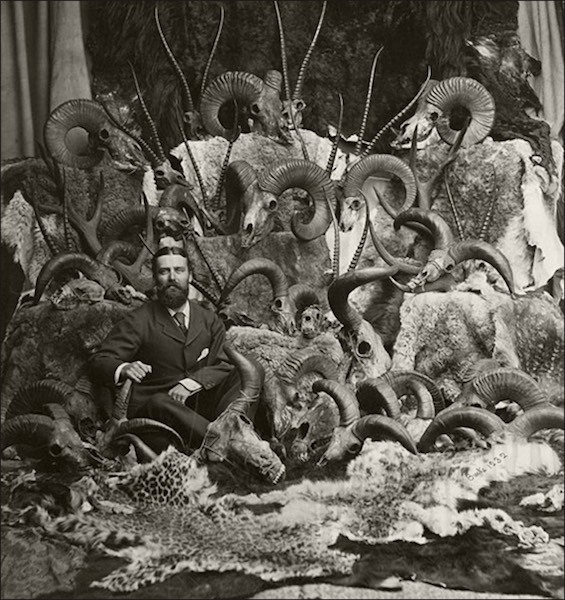 Many of the paraphernalia such as chairs, pedestals and columns were primarily intended to facilitate the lengthy sit still. 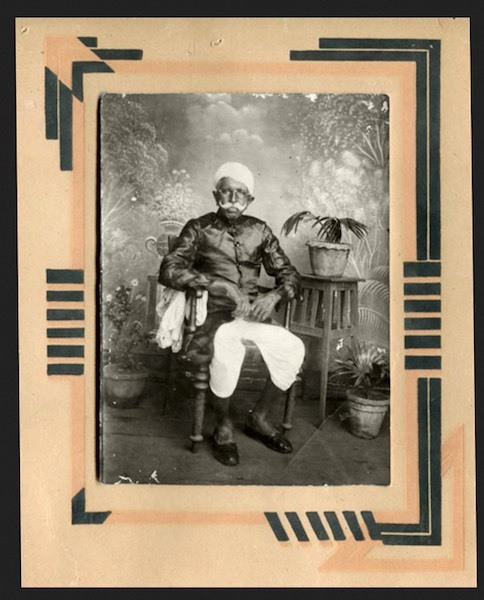 Some Indian historians wonder whether the photographical process came to their continent so remarkably quickly - almost simultaneously with its development - to provide European rulers with a better picture of their colonies. 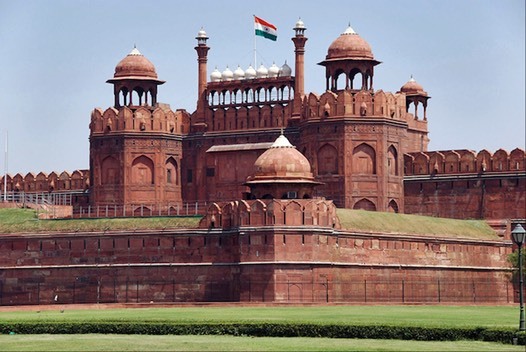 Already in 1850 English photographers left for India. 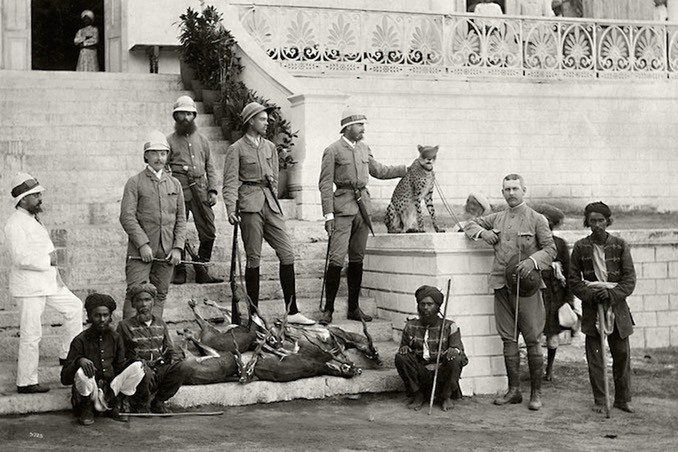 Their largest colony was as well known for its abject poverty as for its outrageous splendor among the numerous maharaja families and - later pulled up - British occupiers. Early eighties a trader was supposed to have a business card to hand over. In itself an old phenomenon that made ​​its comeback. 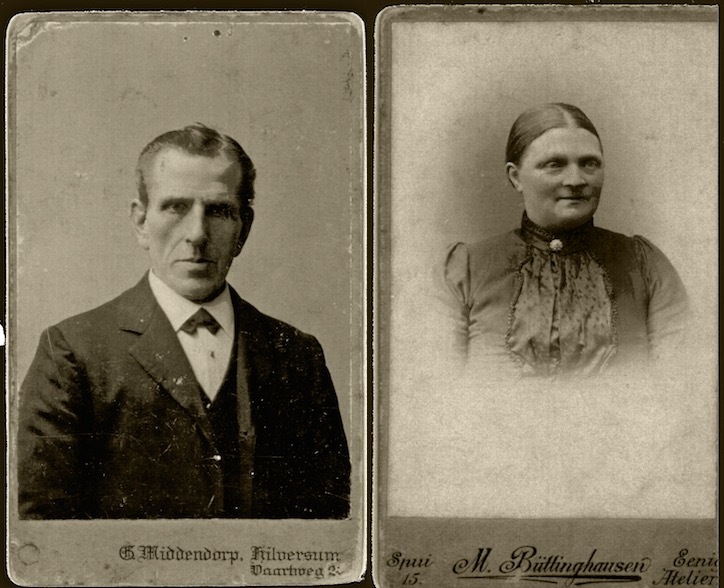 As soon as portrait photography became somewhat commonplace around 1920, the usage to share a visiting card with one’s own face on the front - otherwise anyone could impersonate another - came into vogue among western elite. The card had about the same size as the mortuary cards of the time. The return of the visiting card was popularized by Japan, which in the seventies barely spoke any other language but nevertheless was the economic example for almost any other Asian nation. 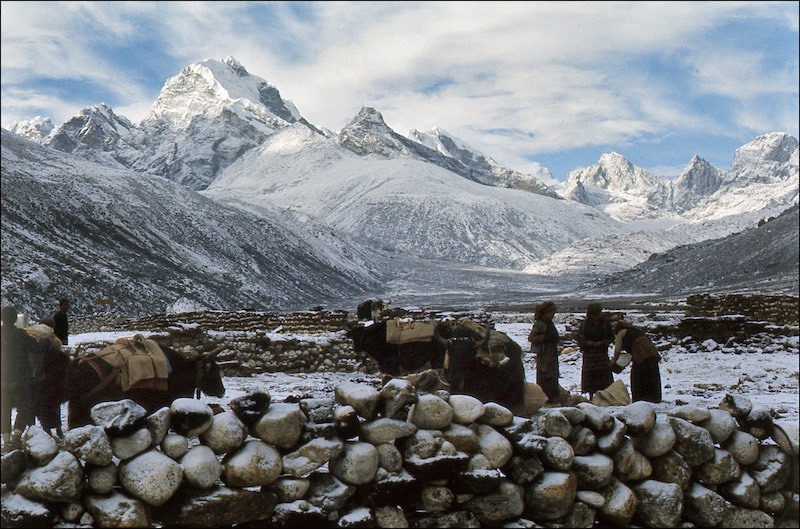 Striving young people in Nepal at the time, for example, struggled mastering Japanese - as they now struggle even harder with Chinese. Moreover, every few years the taxman paid them a vist. I saw one at work once: an benignantly smiling man that pushed the unopened accountancy aside with a small fat hand. As soon as these guys were spotted, a loud rattling of closing shutters sounded through the street. New H.B. Enterprises P. Ltd, New Shresta Silk Emporium, New Mehra Brothers Trading Company and New KC Restaurant. To aid recognition of our card amidst all others, we placed her picture on it. Who she was..? 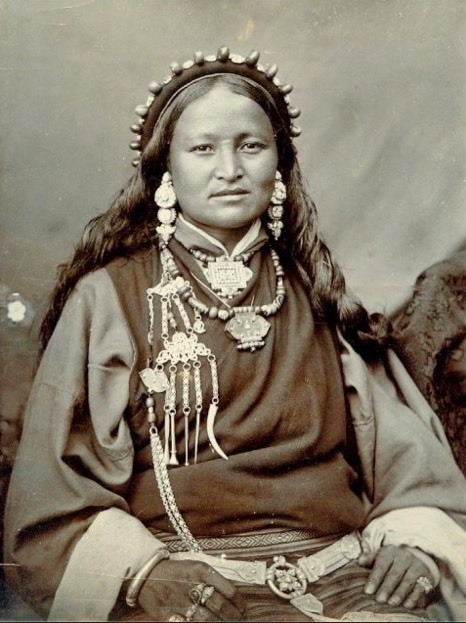 A Tibetan tradeswoman, we figured, who crossed the Himalayas somewhere around 1920 to trade her yak butter, yak wool and yak skins for rice, lentils or matches. And no doubt she had a studio portrait taken during her stay - as any young person would want. At first glance, her face seems a bit harsh. Perhaps this is due to the brute mountain climate or to bestial robbers who attacked travelers and caravans, fleeced them or worse. Yet at a closer look, you may spot friendly youthfulness sparkling around her eyes as well. Granted, she also wears the kind of jewelry that is displayed in our window and thus she succeeded gloriously as patron saint of the firm. Some proved, however, to view the business card rather differently. 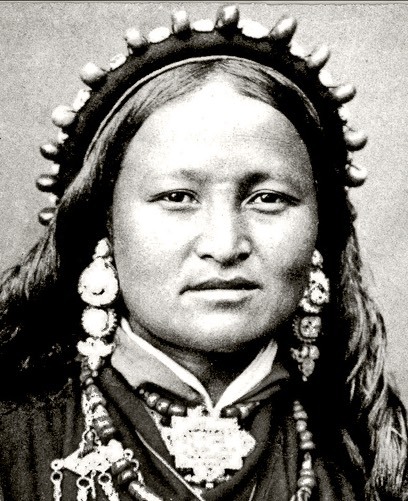 In western countries people took her for Inca or Indian; in Asia people inquired with raised eyebrows whether either of us was married to her. 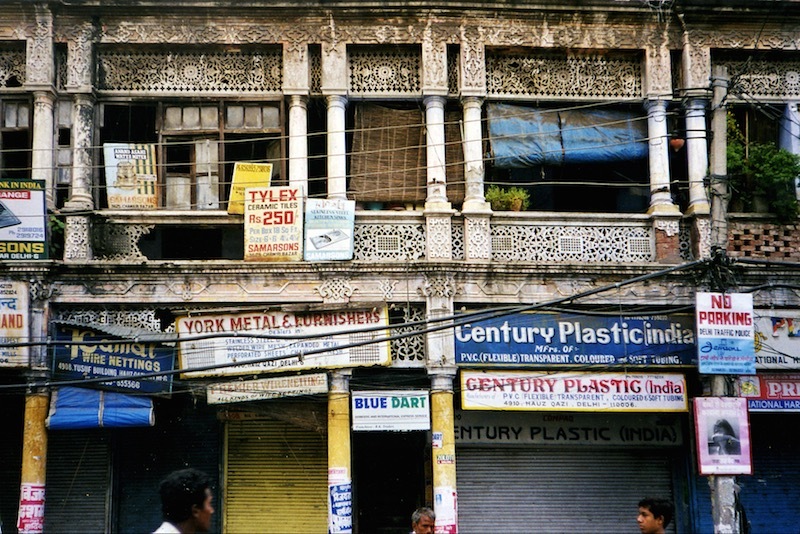 With one of the then largest Indian silver traders, at the old Red Ford of Delhi - in one of the tucked away, oppressive alcoves where in previous centuries soldiers bivouacked - our business card happened to be lying on a table. Of course, the salty chick was right, but we, older guard, had no business card designed, our card grew – say organically, you know. 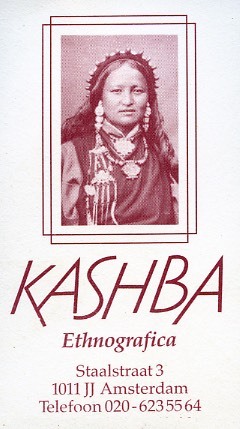 Our name Kashba dates from the sixties. You may may also conclude this date from the transcription: the spelling should have been casbah. That’s how it had been written previously, that’s how it induced a proper pronunciation as well. However, it was the time when for example sexualseksueel, was written as etcetera. And bah at the end of the name looked rather yucky. Although, that single h looked exotic enough to end up in the middle. 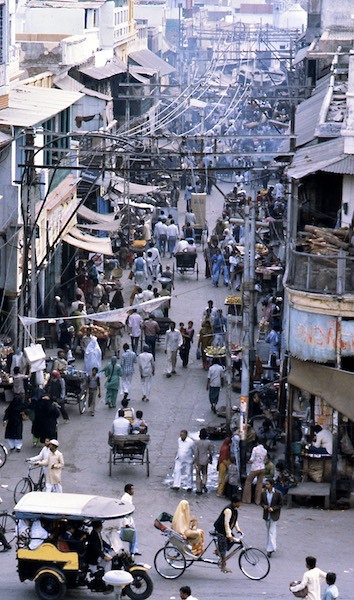 Kashba is now understood as pasar, bazar or market. In origin it means, however, the old town - and there usually the market was. A few years after the upswing of internet, I learnt that a perfume called Kashba was launched in Paris. Imitation followed, the wrong spelling gradually became current. Even in North African countries casbahkashba is now sometimes spelled as . At the turn of the century my new computer turned out to have a face recognition program at its disposal. 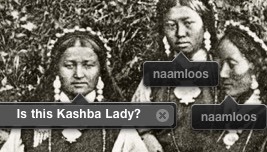 All of a sudden the accompanying picture popped up, questioning: Is this Lady Kashba? 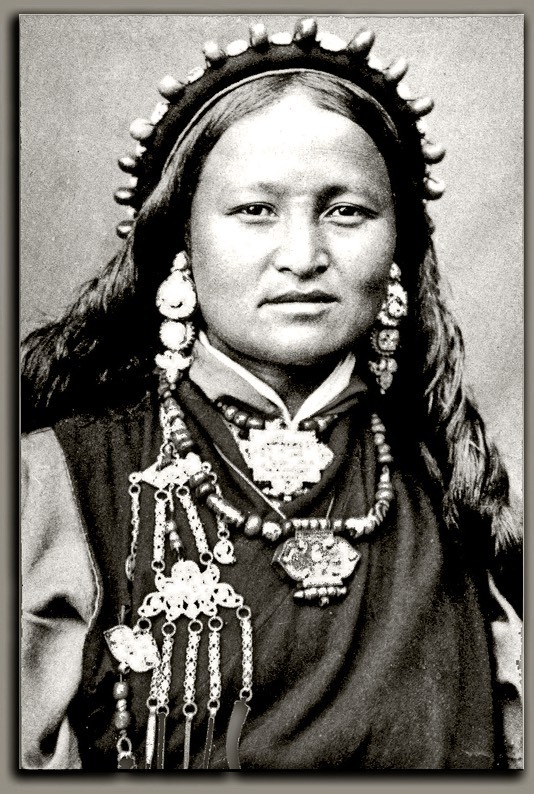 Apparently she was already hiding among others for several years in the folder ‘Old Tibetan postcards’. Bhootea does not indicate Bhutan but is hindi for Tibet. Amazing how a second picture may change the impression you already have of someone for a long while. My young, independent businesswoman appeared to fit perfectly in a group of whispering teenage girls. 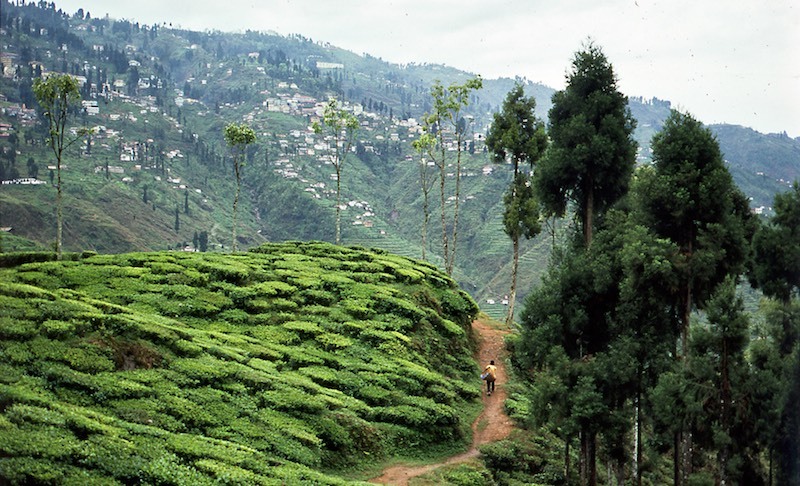 Once on the other side of the icy mountain range, amidst the agreeable tea gardens of Darjeeling, she had perhaps several photos taken of herself. 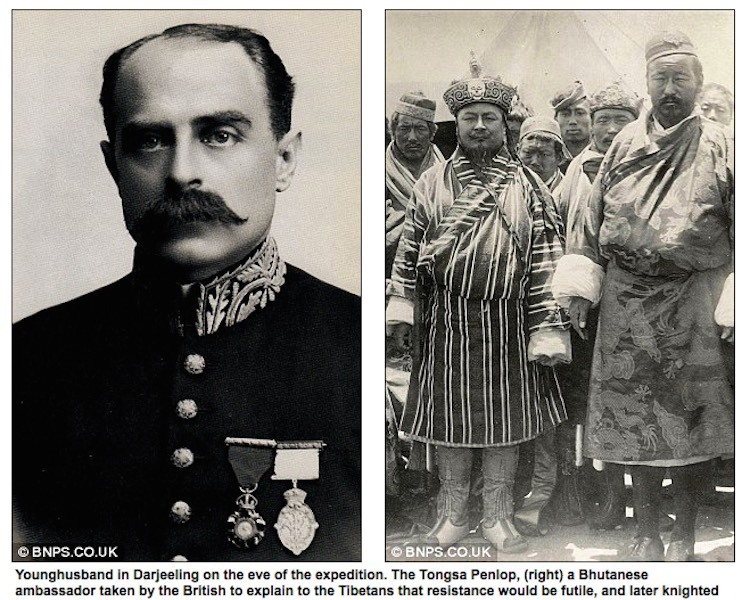 To take back to Tibet. Maybe she was just as modern as the impetuous Bombay beauty and exchanged – stealthily or not – a photograph before being wed off. Another ten years later I discovered on internet by chance this picture! Apparently I bought in ’74 just a cut out of the original negative. And again she looks quite a different woman than I imagined, and again I need to adjust my image of her.